Hoover dentist Dr. Perrigo is a graduate of Auburn University from the class of 1994. He got his Bachelor’s Degree in Mechanical Engineering, and in 1998 he registered for the University of Alabama’s School of Dentistry. He graduated in 2002, earning the Dean’s Scholarship and the title of Doctor of Dental Medicine. 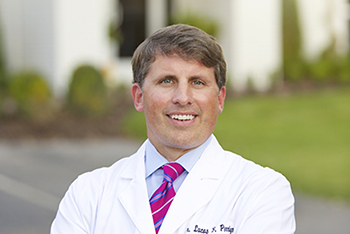 Dr. Perrigo is continuously learning new and improved dental techniques and spends numerous hours every year educating himself on restorative, implant, and cosmetic dentistry. Perrigo Dental Care, led by Dr. Perrigo, is proud to hold high standards of ethical treatment for all patients. Dr. Perrigo is also proud to help others by improving their oral health, and he is eager to answer his patients’ questions thoroughly.